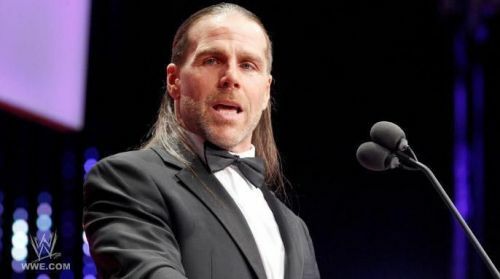 The WWE Hall of Fame is a coveted spot, which is a testament to the fact that a certain superstar impacted the business to the extent that they need to be remembered forever for their contributions. WWE came up with the Hall of Fame back in the early 90s when Andre the Giant passed away. The 8th Wonder of the World went on to become the first ever inductee into the WWE Hall of Fame. The ceremony was disbanded for a while during the Attitude Era, but was brought back in 2004. Since then, WWE has been hosting the Hall of Fame ceremony on WrestleMania weekend. A Hall of Fame ring is the greatest honour a superstar could ask for. But what if the superstar is deemed worthy enough to be given the ring a second time? Up to now, there have been only three superstars who are two-time Hall of Fame inductees. Let's take a look at them. Booker was one of the biggest WCW recruits when WWE bought the competition back in 2001. He was already a decorated champion, having won the big gold belt on five separate occasions. Booker was awarded the Hall of Fame ring during the 2013 edition, the night before WrestleMania 29. Six years later, Booker T is going into the Hall of Fame again! This time, he has been inducted as a part of one of the most exciting teams in WCW history, Harlem Heat. Originally, The Hart Foundation was set to be inducted into the WWE Hall of Fame in 2019, but plans seem to have changed at the last minute, as the team is being replaced by one of the most notorious factions of all time: D Generation X. The infamous team consisted of Shawn Michaels, Triple H, Chyna, X-Pac and The New Age Outlaws. Michaels was immortalized in history as he was inducted into the Hall of Fame back in 2011. This will be his second time in the limelight of the Hall, as he will go in along with his longtime friends. This is also the first time Chyna is being inducted, as fans had been clamouring for a long while for this to happen.